Jobseekers with a disability will be given a fair chance at employment at St John of God Berwick Hospital. 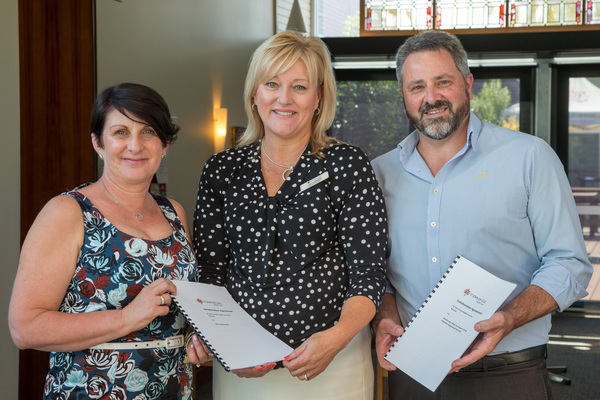 The hospital and job agencies Max Employment and Dandenong Valley Job Support signed a disability employment collaboration agreement on 8 March. It means the three organisations will work in partnership to support people with disability to “at least access the interview stage” if a job were to become available at the hospital. The hospital believes that despite possessing qualifications and experience, very few people with a disability get invited to a job interview. This is due to “an ill-informed understanding on the part of the employer of what it actually means to give a person with a disability a job”. “Many people miss out because they have a disability, not because they don’t have the skills,” St John of God Healthcare Group Co-ordinator of Social Justice Advocacy Neal Murphy said. The healthcare group expects to have an additional 200 caregiver job opportunities once the new $120 million Kangan Drive hospital is complete, providing “a change for people to get what they desperately want – a career in healthcare”. The hospital said they would provide equal employment opportunities for job seekers, regardless of their disability status.